Google Wave + Maintenance = ..Day at the Beach? 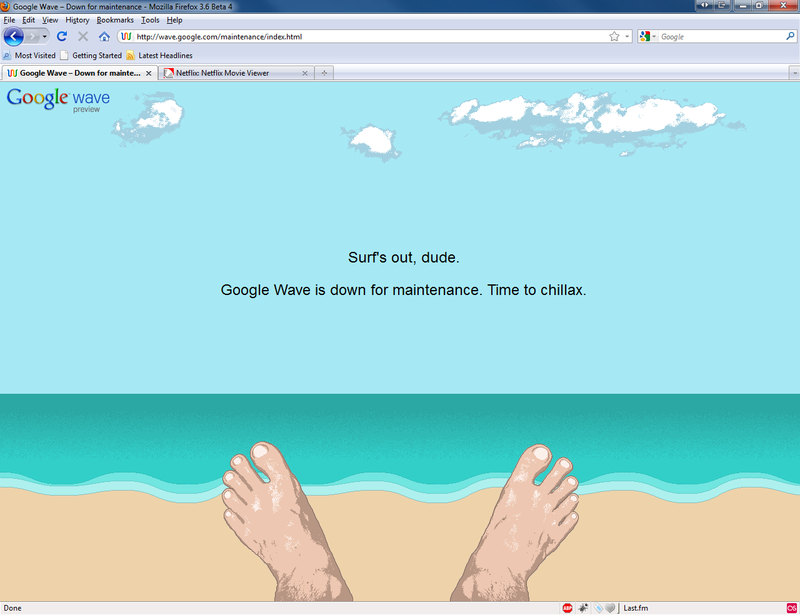 So I recently noticed a small box at the top of my Google Wave account that mentioned something about being “offline”. I knew this wasn’t true, so I clicked the simple “Connect now” link in the same box. With no success, I decided it would be easier to just close the tab and go to the address again (as this fixes Gmail sometimes). If you’re looking for a Google Wave invite, I’ve still got some left! That would be a perfect use case for the audio tag!